BMW expects to spark its U.S. sales with its 45-day end-of-year promotion. WOODCLIFF LAKE, New Jersey -- BMW is forecasting an increase of about 10 percent in U.S. sales next year, partially fueled by the introduction of the redesigned 5-series sedan in early 2010. Peter Miles, executive vice president of sales, said that BMW hopes to end 2009 with sales of 198,000, down from 249,113 in 2008. Through October, BMW division sold 160,666 vehicles in the United States, down 26 percent from the same period in 2008. 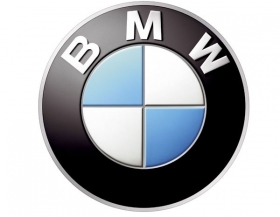 BMW is banking on increased sales from the holiday promotion programs run by the major players. Miles said the sales events will be the premium segment's version of the federal government's cash-for-clunkers rebates. Anticipating pent-up demand, BMW started its holiday promotion -- “Season of Joy” -- at the beginning of November. Usually, the program runs the last 45 days of the year.